We have been bursting at the seams, keeping this one a secret for so long! Finally, your new travel BFF is here. Two words: TRAVEL WALLET. What more do you need anywhere you go?! 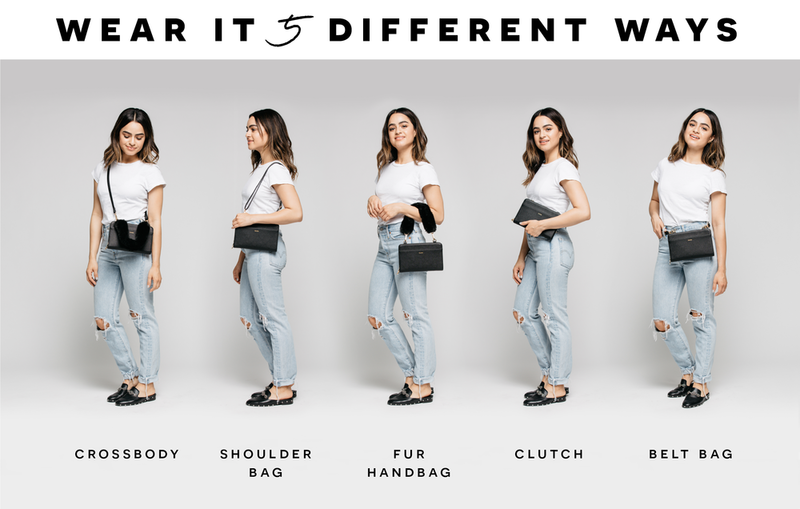 On the faux leather exterior, there's a slide pocket, perfect to tuck your phone into, while there's both a removable faux fur strap and removable adjustable crossbody strap. On the interior, every pocket was thoughtfully designed and labeled for your currency, credit cards, passport, travel documents, key ring holder and pen loop. We promise, you won't look at your wallet the same ever again! Learn more about these pretty little things! Jun 6 9 Money Saving Tips For When You're On Vacay + Travel Budget Printable!